Despite what most Bitcoin bulls were predicting, November was not a great month for investors hoping for a return to $20,000. However, at BitBull Capital, we predicted this drop in prices back in July and sent out an investor note earlier, as we believe now the leading cryptocurrency is at a major buying point. 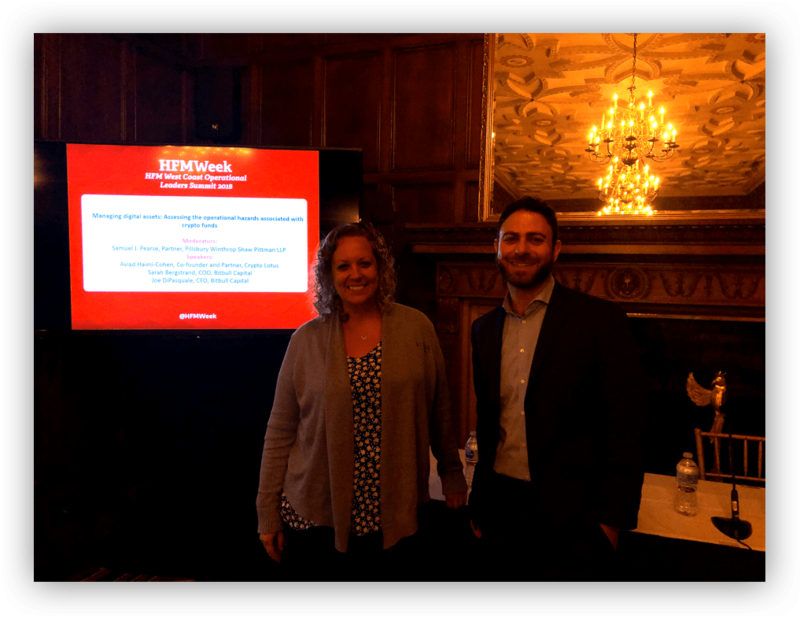 Given our active crypto management strategies, BitBull Capital is widely connected and we attend all major crypto hedge fund investor days and events to gain new insights and explore emerging opportunities for our portfolios. 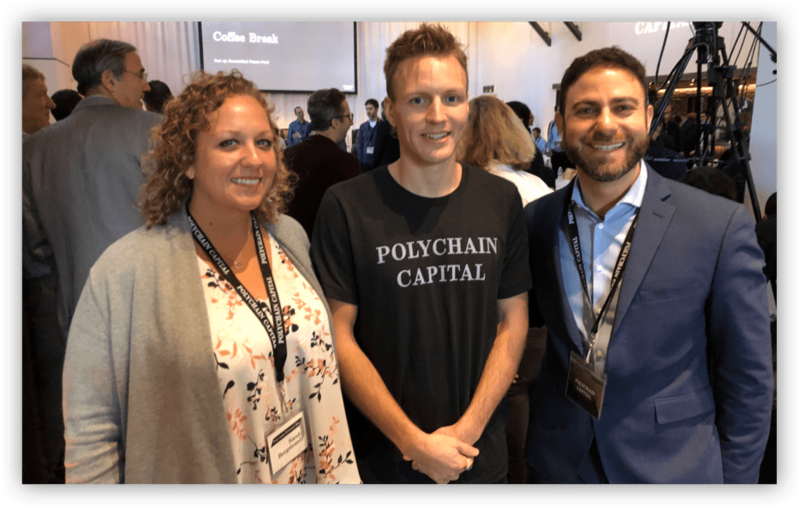 Sarah Bergstand and Joe DiPasquale, co-founders of BitBull, with Olaf Carlson-Wee, founder of Polychain. 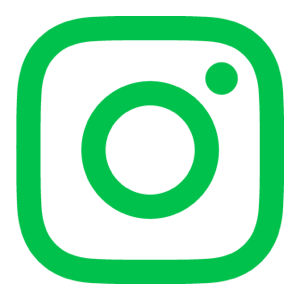 A presentation by Juan Benet, Founder of Filecoin. 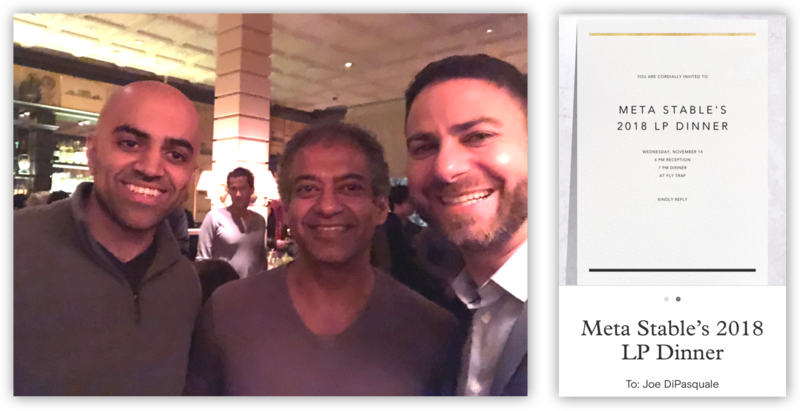 Our CEO Joe DiPasquale with Haseeb Qureshi and Naval Ravikant, Co-Founders of Meta Stable. Even though November did not show a lot of price growth, there have been several positive developments, and all major hedge funds at investor days shared positive sentiments regarding the ongoing developments, institutional interest and financial solutions being developed around blockchain and cryptocurrencies. BitBull Capital’s active involvement and relationships in the space open us up to amazing early-stage opportunities which our members get to benefit from. In case you missed it, our latest Opportunistic Deals memo was sent out earlier. An example of our Opportunistic Deals memo to our investors, from October 2018. 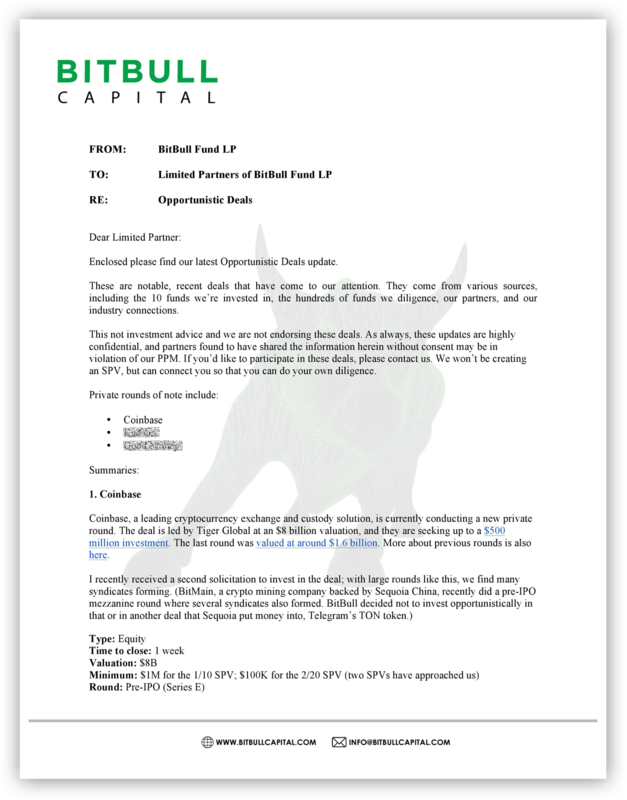 We did not participate in the Coinbase round at $8B valuation because a BitBull Fund side pocket already gives investors exposure to equity in Coinbase at its $1.6B valuation round. If you’d like to get future updates from us, sign up for BitBull research here. What Are Stablecoins and Do They Represent the Future of Crypto?